In the microUSB days, there were several handy little power meters you could get that measured the power draw of your phone. I have one in a drawer someplace because most new phones have moved to USB Type-C, rendering that device useless. 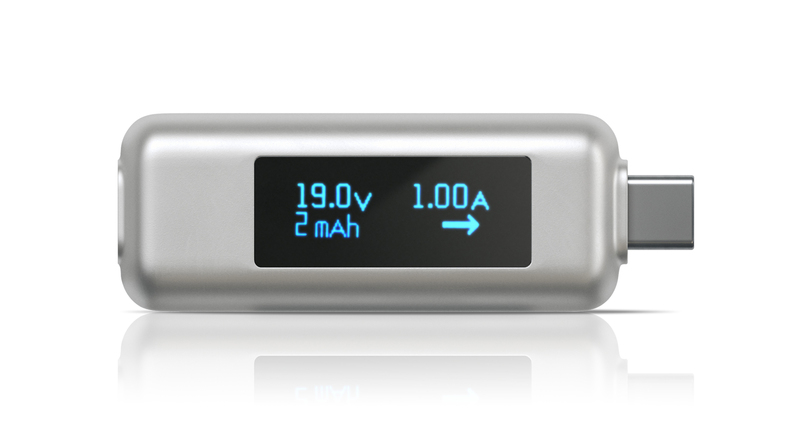 Now, there's a Type-C power meter available courtesy of Satechi. It's a little more expensive than the microUSB versions were, but it looks slick. The Satechi Type-C power meter retails for $30, but it's sitting at $25 on Amazon currently. The idea is that you plug this device into your phone and plug the charging cable into the other end (it should also work plugged into the source). The display shows you the live power draw of your phone with volts, milliampere-hours, and amps. It's also compatible with data pass-through for USB 3.1 gen 2. Here's a demo video in which the presenter seems to mispronounce the company's name several times. Satechi is pushing this device as a way to detect counterfeit chargers, though I'm not sure that's the best use case. It's not like it will alert you to a piece of hardware that breaks spec. It simply lets you track abnormal charging behavior. Maybe that's indicative of bad hardware and maybe not. It might be perfect to test the Pixel fast-charging mystery that David is investigating, though. Is your Google Pixel's rapid charging feeling less rapid lately?